The most awarded a cappella group in history, heralded by Quincy Jones as the “Baddest vocal cats on the planet!” are the quintessential a cappella model for vocal genius. With 10 Grammy Awards, 10 Dove Awards, 2 NAACP Image Awards, a Soul Train Award, and more, Take 6 (Claude McKnight, Mark Kibble, Joel Kibble, Dave Thomas, Alvin Chea and Khristian Dentley) continues to bring extraordinary vocals to their worldwide audiences. April 2018 marks the release of their sixteenth album, aptly titled ICONIC (SRG/Universal) and the debut of a PBS special, The Summit, alongside The Manhattan Transfer. The new recording, ICONIC, is composed of the songs the sextet loves to perform both on stage and for the pure joy of lending their voices to songs that have taken on a greater meaning to them and to their audiences over their career of nearly four decades. These eclectic tunes pay tribute to both the music and the artists that made them famous, from a fun and vocally significant cover of Justin Timberlake’s Can’t Stop the Feeling, a unique and harmonic interpretation of Christopher Cross’ Sailing, Khristian’s melodic and memorable vocal on Norah Jones’ Don’t Know Why to a jazz cover that the Beatles would surely be pleased with of Got To Get You Into My Life. They pay homage to their friend Al Jarreau, with their rendition of Roof Garden, and are true to their gospel roots with the hymn Nothing But the Blood. Change The World (Eric Clapton), the first single, was the most-added tune in Smooth Jazz upon its release. Take 6’s last release, in 2016, Believe (SRG/Universal) landed on six Billboard charts simultaneously. Their wide array of fans can enjoy their performances on The Summit as part of the Soundstage concert series. The special debuts nationally on the public television network in April 2018. The impressive collaboration with The Manhattan Transfer was recorded at their show in Chicago during their 46-city 2017 tour “THE SUMMIT: The Manhattan Transfer Meets Take 6.” Gleefully for audiences, the repertoire includes songs neither band has ever recorded. Take 6 will celebrate ICONIC with a World Tour beginning April 24th concluding 2018 with a Christmas tour (schedule below). Take 6 has admirably and adeptly crossed most musical genres, from straight-ahead Jazz to Pop to adult R&B, doo wop to blues. Like a fine-tuned vocal orchestra (Alvin, bass; Khristian, baritone; Claude, Mark and Joel, tenors), the group continues to push the boundaries of creativity and musical genius with every new release, and with their ever-evolving live performances. Any singer who aspires for vocal excellence cannot overlook the contributions these men have made to music. Take 6 has performed with and won praise from such luminaries as Stevie Wonder, Brian Wilson, Ben E. King, Ladysmith Black Mambazo, Al Jarreau, Ella Fitzgerald, Ray Charles, and Whitney Houston, to name a very few. 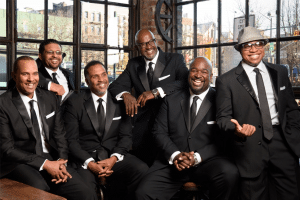 Some of the honors Take 6 has enjoyed over the past few years include being chosen as the first musical group to perform in Cuba at the normalization of relations between our two countries, and their induction into The Gospel Music Hall of Fame. Take 6 has come a long way from their days at Huntsville, Alabama’s Oakwood College where Claude McKnight formed the group as The Gentleman’s Estates Quartet in 1980. When tenor Mark Kibble heard the group rehearsing in the dorm, he joined in the harmonies and performed on stage that night. When Mervyn Warren joined shortly afterward, they took the name Alliance. Yet, when they signed to Reprise Records/Warner Bros. in 1987, they found that there was another group with the same name, so they became Take 6. Says McKnight: “Take 6 was all about a democratic process of sitting in a room together and throwing a couple of hundred names at each other and Take 6 was the one that got the most yay votes [laughing.] It pretty much was a play on the Take 5 jazz standard and the fact that there are six of us in the group, so it became Take 6.” Their self-titled debut CD won over jazz and pop critics, scored two 1988 Grammy Awards, landed in the Top Ten Billboard Contemporary Jazz and Contemporary Christian Charts — and they’ve never slowed down. What makes the music and the group last this long? The answers are direct and simple: faith, friendship, respect, and love of music. The multi-platinum selling sextet says of their longevity, “We are family in the sense that we care deeply about each other, which helps keep us together. We have times when it gets tough, but we pull together because of the love and respect we have for one another. The group’s willingness to let members do other projects also adds to the brand and the cohesiveness of the group,” says Joey Kibble. Kibble is a motivational speaker and Alvin Chea does voiceover work session-singing on dozens of TV shows, feature films and commercials with his uniquely recognizable bass vocals. Two of the members have solo projects in the works, others produce outside acts, Mark Kibble arranges for A list artists and McKnight is working on a documentary. “It adds even more credibility and depth to the group as a whole, enriched by each of our outside skills and experiences,” Kibble adds. “The impeccable vocal harmony of Take 6 is a magic fairy dust that renews every song it touches. 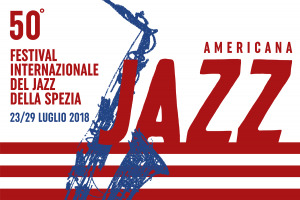 From Bass Musician Magazine to Soul Tracks to AllAboutJazz and Black Grooves to X2THEL, TAKE 6 racks up the accolades acorss genres, demographics, economic strata, and proves that great is simply great!